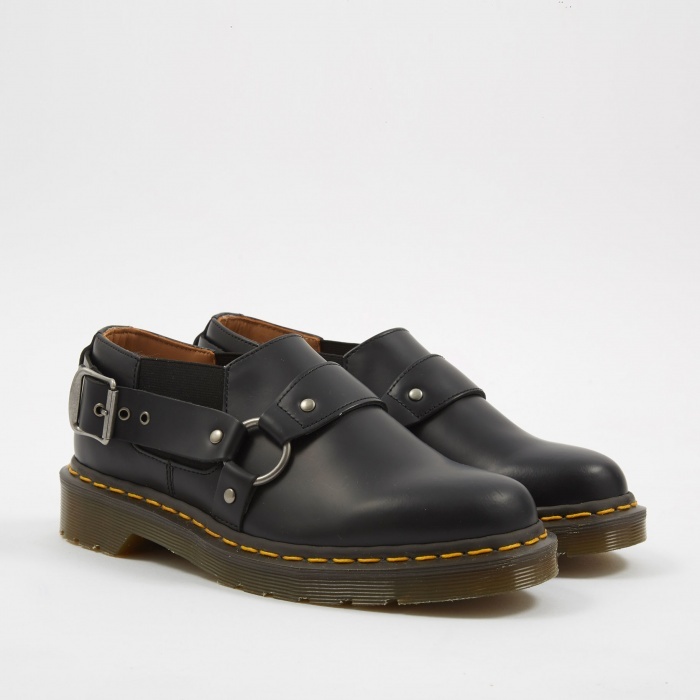 COMME des GARÇONS and Dr. Martens continues their ongoing relationship by releasing three new silhouettes for Spring/Summer 18. 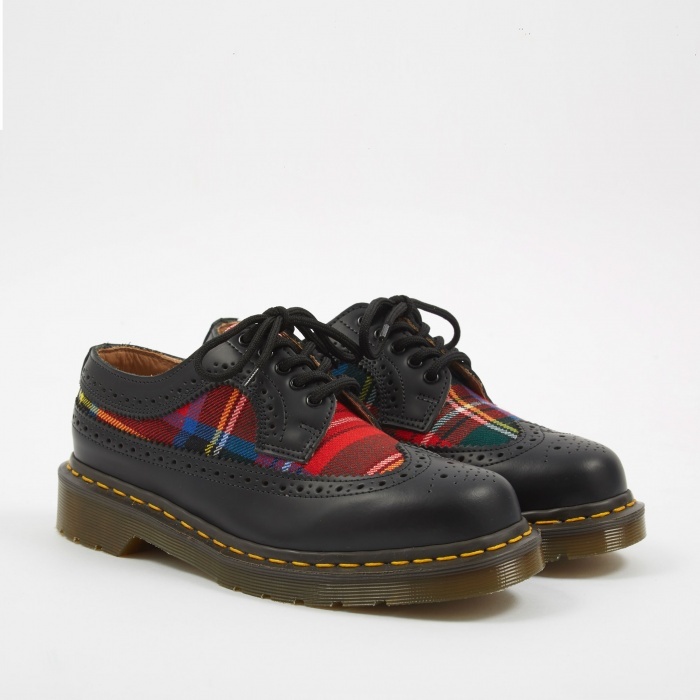 The range features Dr. Martens’ signature contrast yellow stitch detail, AirWair air-cushioned soles as well as COMME des GARÇONS' unique detailing. 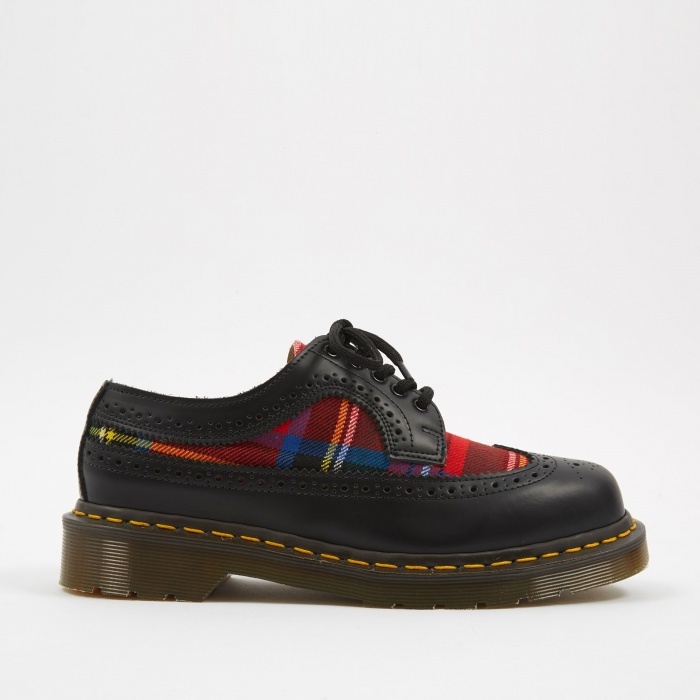 The first model is a Brogue silhouette with a rounded toe which displays a red plaid tartan fabric covered by a leather overlay upper construction. The second silhouette, a slip on model named "Hattie", comes in two color ways, black and white, and features multiple leather straps surrounding the shoe with a fastening buckle at the side. Now available for her via Goodhood.